The Digital Transformation Agency has established the Digital Investment Management Office to provide oversight of all significant government ICT and technology investment projects. Caption: Assistant Minister for Digital Transformation, Angus Taylor giving a presentation. By developing new and more strategic approaches to investment analysis, governance, risk management and program and benefits management, the office will provide greater transparency and optimisation of the government’s investment portfolio. An initial priority for the office will be to undertake a review of the government’s $6.2 billion annual ICT spend and provide a comprehensive picture of the costs, benefits, risks and status of all projects worth more than $10 million. A report on the findings of the review will be provided to government by mid 2017. The office will also focus on establishing ongoing strategic partnerships across government to provide independent assurance and improved delivery outcomes for both agencies and people that use government services online. 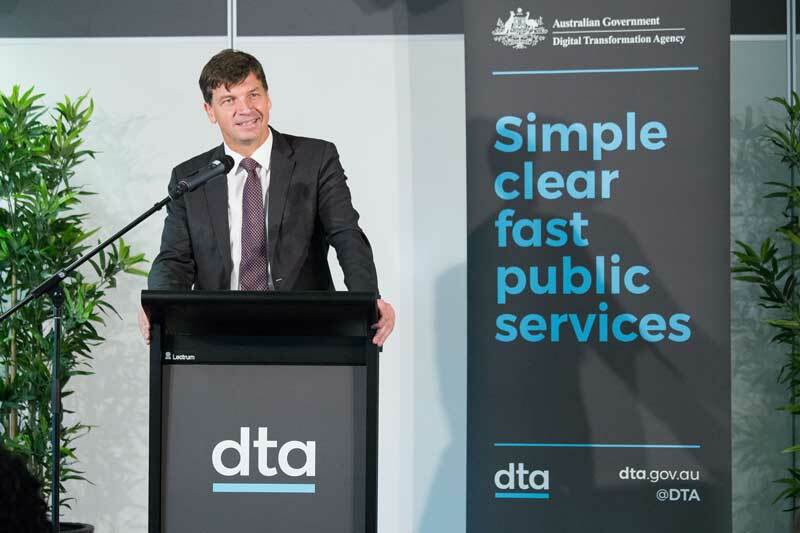 “We can always do better - better impact for government by doing more with every dollar and better impact for citizens by providing easier-to-use services”, said Angus Taylor, Assistant Minister for Digital Transformation. Read Assistant Minister Taylor’s full statement in his media release.